"We were very happy with the hotel and our room." Have a question for The Shiv Vilas Resort? "I would recommend this hotel for those who prefer a quiet atmosphere without the hustle and bustle of a busy hotel, very peaceful." 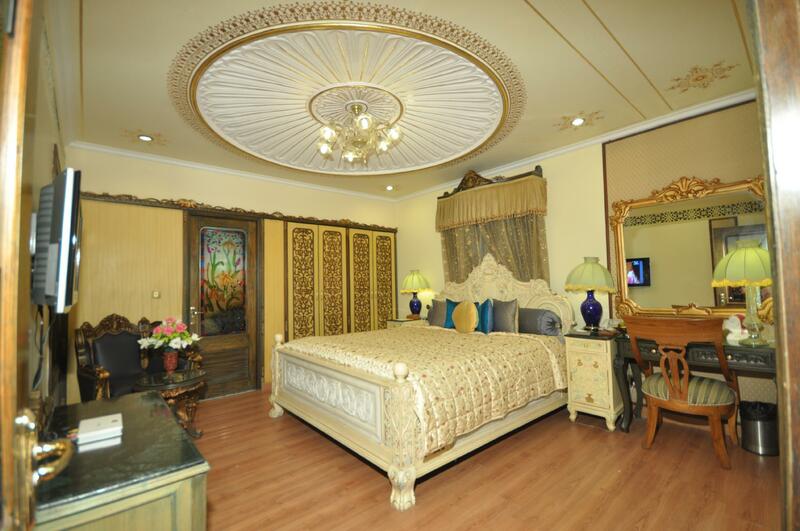 "Very nice hotel, with great reception and management staff." The Shiv Vilas Resort attracts many leisure and business travelers. The hotel is 25 kilometers from the airport and 14 kilometers from the railway and bus stations, making it very accessible for travelers. 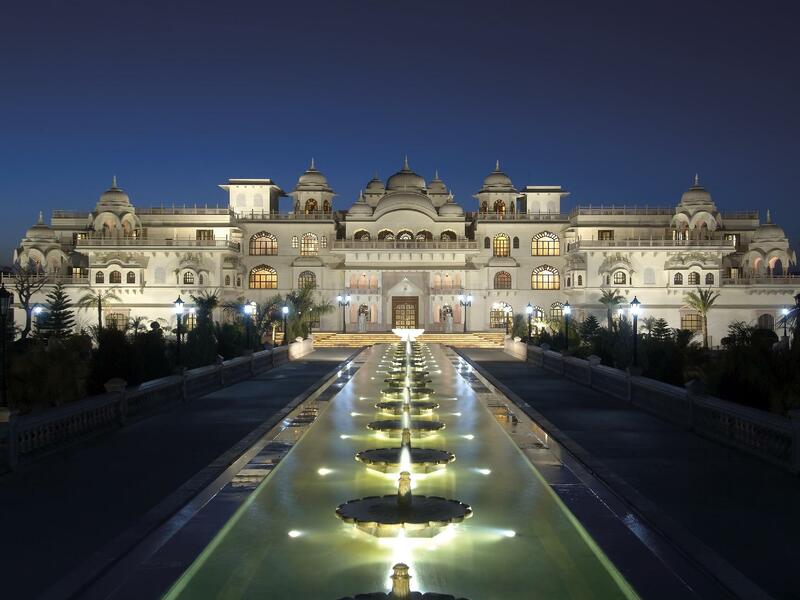 Guests can roam around the surrounding area and visit local venues like Amber Palace, Central Park, and the Hawa Mahal. Enjoy Thai, Malaysian, Chinese, and local cuisine from the on-site restaurant. Relax with a few post-meal beverages at the cocktail bar. Wedding receptions, corporate events, and other large functions are easy to host as the hotel houses a large ballroom and conference center. The spa, health club, pool, and Jacuzzi are available to guarantee relaxing days. Reservations at The Shiv Vilas Resort are simple via our secure online booking form. Just enter your desired dates and submit. "The best property I have ever been." Please be informed that per the Indian Government directive, guest are requested to produce a photo identity document such as Driving License/Pan Card/Voter ID Card/Passport/Company ID Card during check in. There will be a mandatory Gala Dinner on Christmas eve and New Year Night at the property. 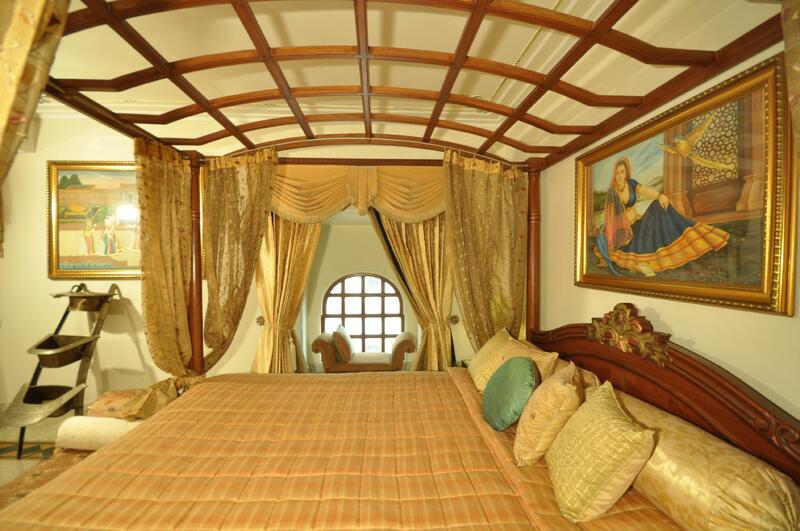 Guest will be charged an additional amount per person irrespective of the plan and room booked. 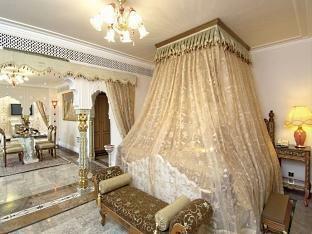 This resort is one of the best resort in Rajsthan and Delhi area. Very clean , courteous staff, Dining staff very friendly and helpful. Room condition excellent . 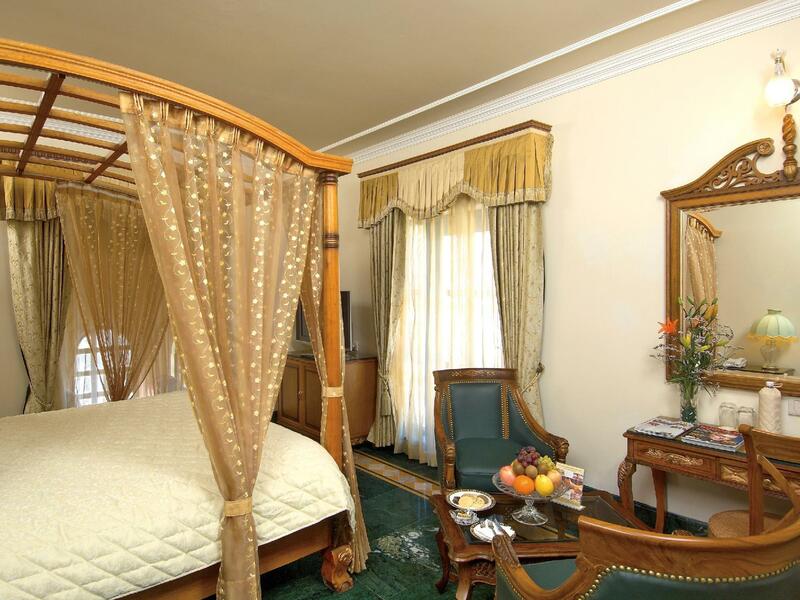 This Resrot is better than other heritage hotel we been to. Shiv Villas is in an opulent building outside of the busy city. The pros: food is great and the staff is attentive. Cons: it feels slightly underrun. Pros - Royal experience, very good service. Cons - Food was average, not good. We checked in and we had two single beds pushed together - we changed rooms - the mattress was very very hard but the second night put a soft protector down . Nohot water two nights in a row - had to wait for 1 hour to fix problem and 2 hours second time . The shower screen had been siliconed on so you had to enter shower from behind small gap and very dangerous and water still went over floor My wife almost slipped. Power surges and internet was very slow and kept cutting out . The food in restaurant was delicious but over priced compared to a 5 star hotel . The grounds are like s palace and very beautiful and the staff always tried to fix everything as fast as Possible but we were very disappointed and manager just ignored us on departure we will not be recommending this hotel . Hotel is showing the signs of an old wearing and tearing property . Altough the staff is really good and hotel's lobby is there highlight but as a resort you don't have much to do in the hotel . kids area is very far and not upto the mark all they have is few footballs and kites . 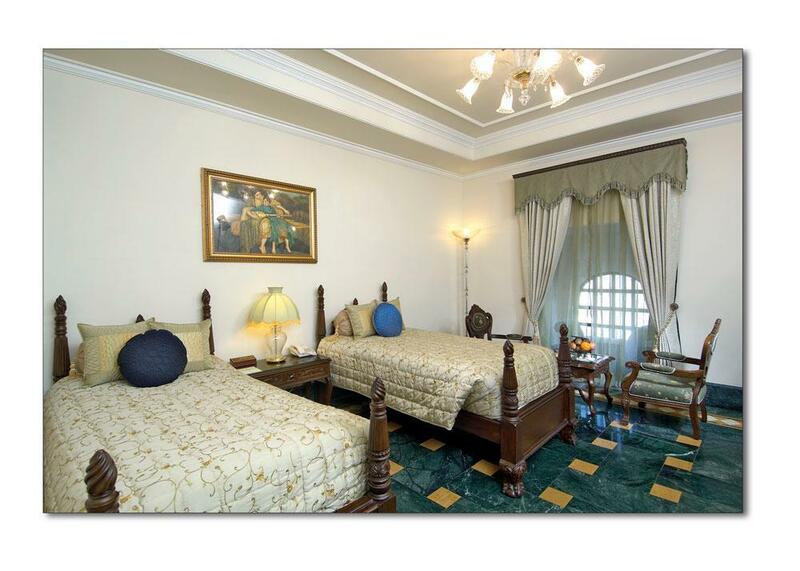 Rooms :- Although I was upgraded to Elite room the terrace attached to the room was dirty and smelly . Bath tub and other fixtures in the rooms are showing the signs of an old wearing property . Breakfast :- A standard buffet breakfast with a excellent service . You need to be here atleast once in your lifetime. It can not be compared with other hotels. You feel like the king and queen. The best property I have ever been. Pristine and exquisite architecture.. The hotel GM Mr Chacko Memon was very courteous, always engaged with smile and so did the rest of the staff and heads. Though the service promptness mechanism could be improved. Food quality and spread did justice to the hospitality expected in Rajasthan. I did not expect this place to be so nice. It was an amazing experience. The ambiance, staff, food, rooms everything remarkable. The general manager and his team is doing excellent work. 5 star for their hospitality esp Mr Yogesh Sharma & Mr Satyender and many more.. I must mention that my kiddo had a great time. Thank you!! 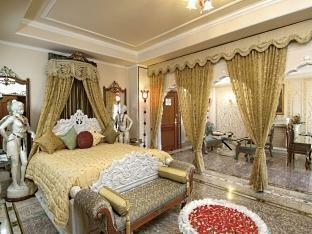 A grand and opulent hotel with good facilities and well located outside of Jaipur. Unfortunately, i. We ts probably past it best days and hasn't been maintained to the highest standards it aspires to. The staff were lovely, but trying too hard. Feedback forms were thrust at us all the time - ironically on one occasion before our late breakfast order had even arrived. The facilities are nice (but steam not all working), the swimming pool is great and the food was really good, but was really expensive compared to other places we stayed. The rooms could do with a fix up and the hotel should focus on service based on the guests needs. We were very happy with the hotel and our room. We also booked a driver through you and he was great! Mr. Singh was wonderful and did a great job driving us all weekend. The resort staff was very helpful and made us comfortable from the time we entered the resort.it was very beautiful and magnificent.Thank you :"Shivani" for the informational hotel tour. 1) Located b4 Jaipur on NH8 highway, it represents Rajasthani 'Nawabi & Shahi' architectural heritage. 2) Floors and wall, adorned with marble-Inlay, carvings & sculpted statues, decorative artefacts send loud & clear message of resurrecting heritage wealth of Rajasthan. (Use of thicker pure white marble slab/ blocks would have multiplied its lustre & glory many times. Undersized slabs have cracked at various places). 3) Team Leader GM, Mr.Chacko, motivates & inspires his entire team from the front with personal supervision. 4) F&B T/L, Exec Chef Mr. Harish with Pankaj and Gobing, cater to all tastes & are creative in culinary excellence for any special dietary needs & desires. 5) Mr. Mukesh Singh, Manek Singh, Subhash, Rajat and others serve the guests with smiles to ensure their satisfaction. 6) Vandana, Shivani, Puja, Suman, Harshit, Sumit & Suryakant, Sonali Sinha, SurajMal (Jat & Meena) were always smiling and caring. Shaded parking is a must ASAP.